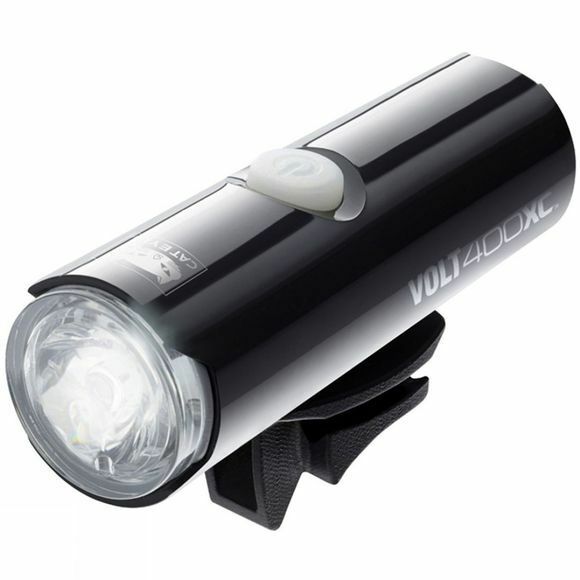 Featuring a compact and all in one sleek design, the Volt 400 XC is easy to carry around in your pocket when you don’t want to leave it on your bike. It produces up to 400 lumens and with Cateye’s patented Opticube lens technology and integrated side visibility, the Volt’s beam pattern projects precisely where you need it. A double click too high beam feature for added safety and memory mode upon start, make this light perfect for urban riding.